Never Mock God: An Unauthorized Investigation into Paranormal State’s “I Am Six” Case – examines a paranormal reality TV show from all angles. Paranormal State’s “I Am Six” episode is a perfect American horror tale — for all the wrong reasons. It stars the ambitious founder of the Paranormal Research Society, an attention-seeking client, a bumbling group of paranormal investigators, a psychic-medium in search of ratings, and a rogue exorcist. Paranormal State featured PRS director and founder Ryan Buell in a docu-drama, which ran on the A&E network from 2007 to 2011. It followed Ryan and his ghost hunting crew around the United States as they hunted paranormal phenomena, ghosts, and confronted demons. Merging the documentary and drama segments, the viewer was fooled into believing it was a straightforward documentary. The cast included [mostly] Penn State graduates with varying specialties and the telephone psychic-medium Chip Coffey. Reverend Andrew Calder appeared as the go-to exorcist in two episodes. Paranormal State’s most controversial case featured Lara, a 26-year-old woman from Quincy, Illinois who is allegedly possessed by a demon called Six. The show airs a 60-minute episode just before Halloween 2008, and the nation watches as Reverend Calder performs an exorcism that fails. The following year, PRS returns with demonologist Lorraine Warren of Amityville Horror fame, Chip Coffey, Father Bob Bailey, and ghost hunter/documentary filmmaker Chad Calek. 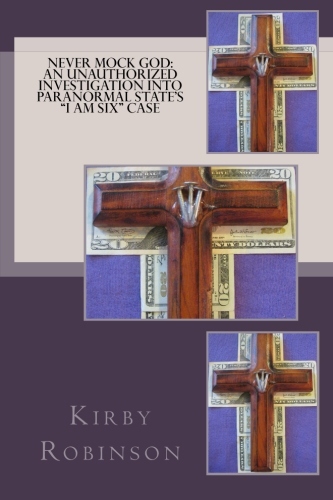 Kirby Robinson and his team of investigators dig into both “I Am Six” and “The Possession: Return of Six” cases and discover the deceptions, misrepresentations, shoddy investigative work, and an outright impersonation by someone in a key role. By the end of this fast-paced but thorough book, the author proves that the paranormal doesn’t mix with the theological. Robinson and his team travel to Quincy to interview neighbors and tour Lara’s now-former home. They verify facts and dispel falsehoods. Both episodes are broken down scene-by-scene to prove it was staged. PRS overlooked medical and psychological conditions in order to capture a dramatic exorcism on film. According to the Catholic Church and their rules of determining demonic possession, no one involved in the “I Am Six” case ever found actual proof. An unedited piece of tape shows PRS isn’t dealing with a case of demonic possession but one of media attention. A key player in the “I Am Six” case reveals a secret that will shock the reader. 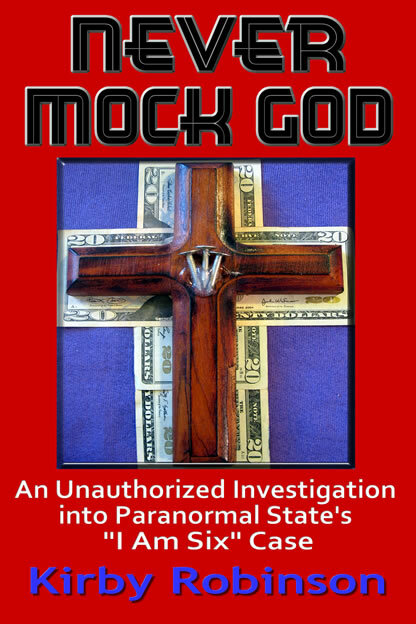 “Never Mock God: An Unauthorized Investigation into Paranormal State’s ‘I Am Six’ Case” is filled with coherent documentation, humor and insight.